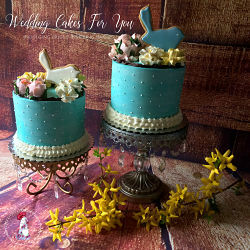 Big wedding cakes for your momentous day! Brides!!! Capture the energy and excitement of your wedding day with a flamboyant statement. 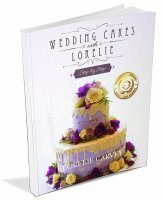 Large Scale Cake Recipes Are Here: Extravagant wedding cake recipes for you are included in the book. 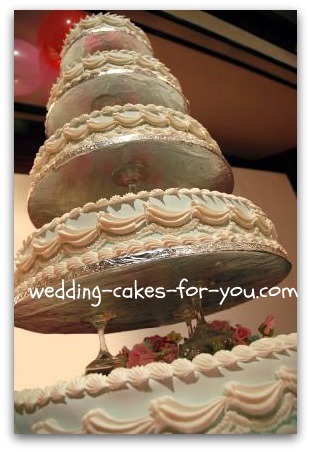 The tried and true chocolate or white wedding cake recipe will make many tiers of lusciousness. All are perfect for your colossal creations. 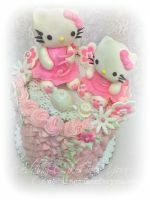 Links to those pages are at the bottom of this page. 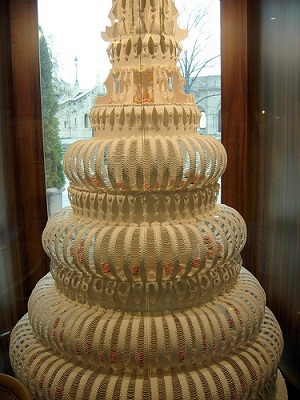 This is one of the largest wedding cakes in the world. It can be viewed at a museum in Budapest. 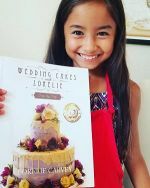 Here are the ingredients and the amount of labor it takes to make this marzipan beauty! 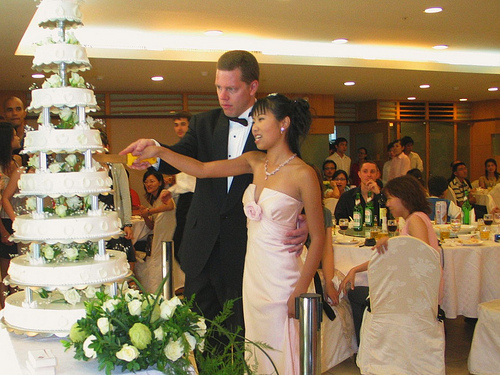 Now THIS is a bold and big wedding cake, yet still maintains an elegant feeling. 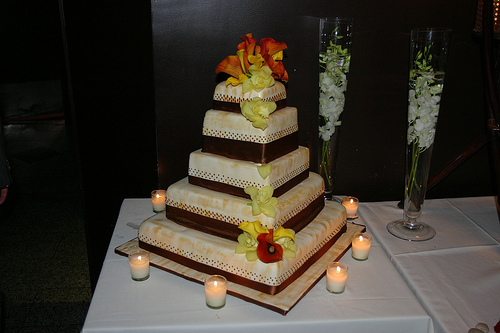 This square wedding cake is also very elegant even though it is quite large. The candles are a nice addition and give it a romantic feeling. 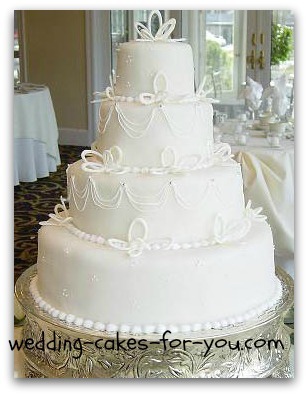 Large wedding cakes can be challenging to construct. The champagne glasses are one way to raise a cake, but it does have risks. Hot glue between the glasses and the cake bases would probably do the trick. 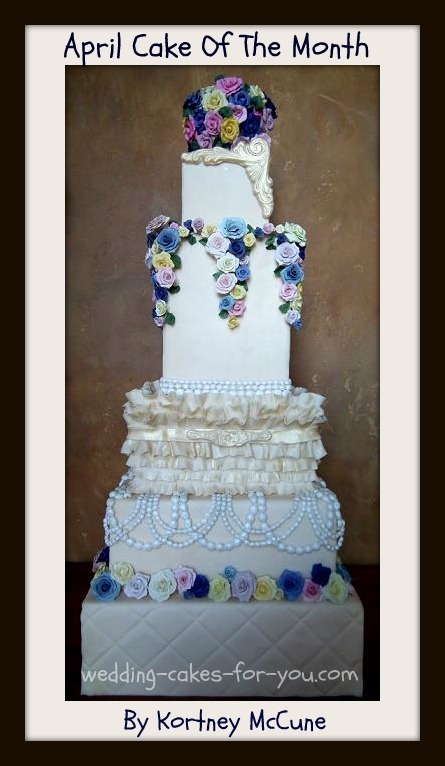 I would consider anything over 4 tiers to be a large wedding cake. A 16 or 18 inch base is a good place to start for creating a big bold look. 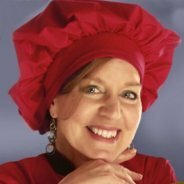 Go to my prices guide page to see a chart on tier sizes and how many portions you can expect with each. 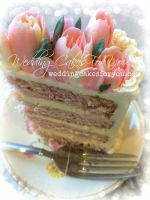 I use Cake Stackers for my larger wedding cakes. They really are fantastic. You can adjust the layers to be perfectly straight even though they may not be perfect. They also will be centered and travel safely with much less stress.